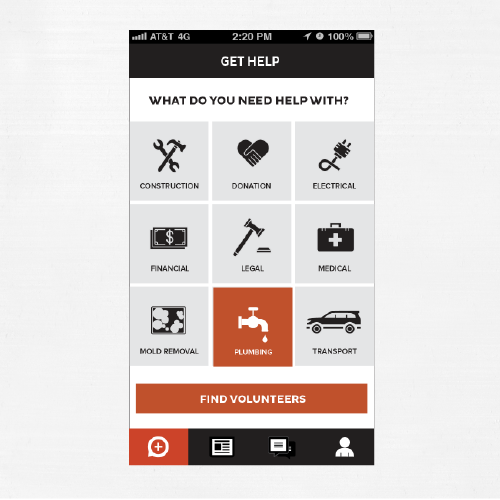 My colleague Samia Kallidis is launching a brilliant self-help app to facilitate community-based disaster recovery efforts. Samia is an MFA Candidate at the School of Visual Arts in New York. While her work on this peer-to-peer app began as part of her thesis, she has since been accepted to the NEA Studio Incubator Program to make her app a reality. NEA provides venture capital to help innovative entrepreneurs build transformational initiatives around the world. So huge congrats to Samia on this outstanding accomplishment. I was already hooked back in February when she presented her project at NYU and am even more excited now. Indeed, there are exciting synergies with the MatchApp project I’m working on with QCRI and MIT-CSAIL , which is why we’re happily exploring ways to collaborate & complement our respective initiatives. Samia kindly shared the above video and screenshots of Jointly below. I’m thrilled to see Jointly move forward and am excited to be collaborating with Samia on the Jointly and MatchApp connection. We certainly share the same goal: to help people help themselves. Indeed, increasing this capacity for self-organization builds resilience. 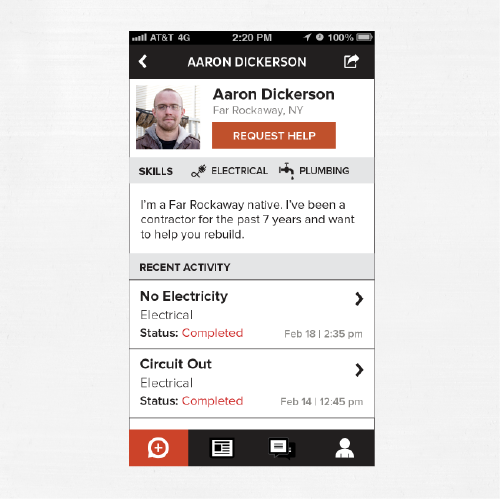 These connection technologies and apps provide for more rapid and efficient self-help actions in times of need. This doesn’t mean that professional disaster response organizations are obsolete—quite on the contrary, in fact. 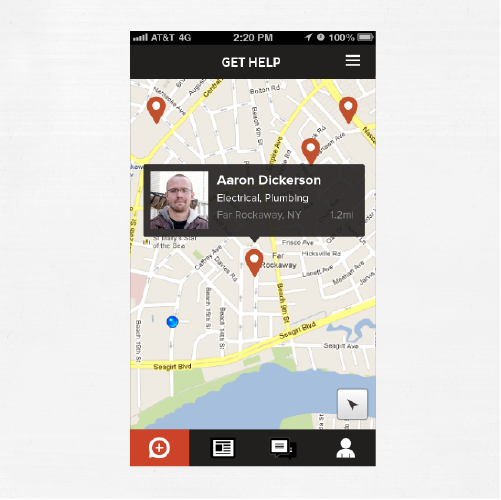 Organizations like the American Red Cross can feed relevant service delivery data to the apps so that affected communities also know where, when and how to access these. In Jointly, official resources will be geo-tagged and updated live in the “Resources” part of the app. You can contact Samia directly at: hello@jointly.us should you be interested in learning more or collaborating with her. This entry was posted in Crowdsourcing, Digital Activism, Humanitarian Technologies and tagged App, Jointly, Mutual-Aid, P2P, Self-Help. Bookmark the permalink. Kudos, Samia!! This is will be a key component to foster a culture of self-reliance in communities.